At New Vitality Medical we’ve witnessed the many benefits of functional medicine treatment at our office in Atlanta, GA, as we’ve watched patients respond to this approach to patient care. Our certified functional medicine practitioner provides services for many different patients with complex or chronic conditions. Please contact our office for additional information about this approach to treatment, and learn more below. Functional medicine is a science-based approach to patient care that integrates additional methodologies into an overarching treatment plan, focusing on the root cause of medical issues. Functional medicine retains the benefits of traditional medical tests, knowledge, and care, while expanding the investigatory process and treatments to more holistic approaches that can be used side by side for a more comprehensive approach to treatment. What makes this approach desirable? Functional medicine is personalized, precision medicine, focused on each individual’s unique biochemical patterns. It seeks to address the root cause of illness or discomfort so each patient receives specific treatment for their unique circumstances. This personalized approach examines both scientific and environmental factors to go past treating just the symptoms. The goal is to identify and address the underlying cause(s) of dysfunction and correct imbalances as directly as possible. A functional medicine practitioner will get to know you, asking questions about your lifestyle and day-to-day activities. They may also run a variety of lab tests. Since this type of treatment is based on you as an individual, the practitioner will seek to gain a clear picture of what may be contributing to your disease/illness or pain above and beyond the myriad of symptoms you are experiencing. Unlike the old model of the traditional doctor/patient relationship, functional medicine practitioners seek to partner with their patients and work together to find solutions that make sense for the person. Who can benefit from functional medicine treatments? Functional medicine is an excellent choice for patients who feel they are not achieving their health goals despite treatment with medications and other standard therapies from a conventional medical practitioner. Functional Medicine benefits patients who seek to find the root cause of their problems through a research-based medical approach that goes beyond conventional medical therapies but who aren’t comfortable relying only on alternative medicine for treatment. Functional medicine practitioners utilize the scientific approach, but will also employ other techniques as applicable to the individual patient. There is no “one-size-fits-all” approach in functional medicine, as each treatment plan is highly personalized and is structured to benefit each patient and their unique circumstances. Functional medicine seeks to empower the patient with knowledge and tools to re-claim their health and the healing power of their own body through nutrition and lifestyle, with the close guidance and expertise of a certified practitioner. Many patients find it empowering to participate in their own care. If you’d like to learn more about functional medicine as a practice, or if you are interested in making an appointment to speak to our practitioner, please contact the Atlanta office of New Vitality Medical. We’ll be glad to put you in touch with our functional medicine specialist and set up a consultation so you can begin your treatment program. At New Vitality Medical, LLC, we provide quality concierge medical services at a low cost by keeping the patient’s individual needs and desires at the center of the treatment. Our medical physicians work with you to understand and implement your short term and long term goals by developing a treatment plan that fits your desires, your body’s needs, and your budget. If you think Functional Medicine is right for you, schedule a FREE consultation by calling (404) 228-7900 or click below. Ashley Walker, MPAS, PA-C is a nationally certified Physician Assistant specializing in Functional Medicine at New Vitality Medical Institute in Alpharetta, GA. She completed her Bachelor of Science degree in Kinesiology from the University of Georgia in Athens, Georgia and then earned her Master of Science in Physician Assistant Studies at Medical College of Georgia in Augusta, Georgia. 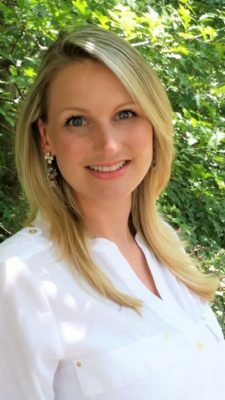 She is a member of the Institute for Functional Medicine and certified by the National Commission for Certification of Physician Assistants.